Beware, soccer fans: Not all apps are team players, some shoot for more! Some of the Android gaming apps we downloaded primarily displayed ads instead of letting us play. Let me just point out a few from many. We were unable to play Corner Kick World Cup 2014 at all because it displayed nothing but a white screen, with ads popping up now and then. This app struck me as odd from the get go. When I checked the size of the app I noticed it was really tiny, less than 1MB. What kind of game can you expect from an app this size?! What is even more interesting is that the game is made by a developer called VinoSports. If you check the rest of his apps offered on Google Play they are all the same - just blank applications stuffed with advertisements. This is unfortunately a quite common and sneaky way for developers to make some money. With applications like this, the only person who benefits from them are the developers. They may get some money if you actually click on the ads their apps display. We decided to block apps from VinoSports. From now on, they will be detected as Android:FakeViSport. They are fake applications in that they pretend to be something desirable, but they aren’t. The second app I would like to mention is Fifa 2014 Free - World Cup. The app comes from a pretty big developer, "Top Game Kingdom LLC", who has plenty of apps on Google Play and other stores. This however does not mean the app should be trusted. Fifa 2014 Free - World Cup, can be considered, at the very least, suspicious. As for the app Football World Cup 14: The application’s installation package name doesn’t have anything to do with the name of the app itself. The app is called Football World Cup 14, yet its installation package is called “com.topgame.widereceiverfree”.Football World Cup 14, also known as “Widereceiverfree” requests access to information that has nothing to do with the app’s function, like location, call log, and to other accounts on the phone. Weirdly enough the Football World Cup 14's developer has even more applications on the market, most of them behave similarly. They pretend to be something different than what they really are. In the end you might get something that can be considered a game, a game with plenty of obstacles such as and with permissions that could easily misuse personal information. Apps that display ads are not necessarily malicious. Plenty of apps, especially free apps, are funded by ads. They can, however, be annoying, particularly when they don’t go away and prevent you from using the app itself. Apps that access more information from your phone than they need to function seem harmless, especially since there is no visible evidence of this happening, but they can cause more harm than you may think. We recommend you to take a closer look at the apps you download during tournament time, be it gaming apps, live streaming apps or apps that allow you to bet for your national team, to make sure you stay safe and as ad free as possible! Make sure you download from official apps markets. Many of our mobile malware samples come from unofficial app markets, only very few come from the official Google Play store. Download official apps you can trust. 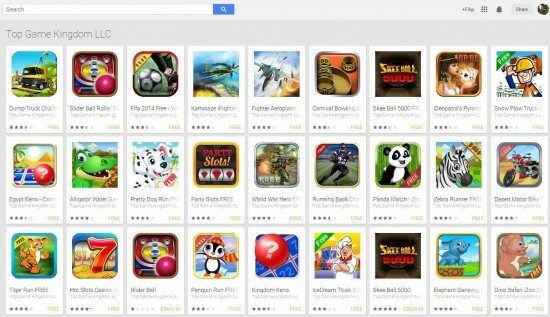 Google Play is an open and developer friendly platform, which is why it contains a plethora of apps. We totally understand why people are sometimes overwhelmed with all the apps they can choose from, we found over 125 vuvuzela apps on Play! We recommend users play it safe and download official apps from developers they can trust. Trusted developers appreciate their users, meaning they want to provide them with a quality product, not one that is flooded with apps. FIFA has a great live score/news appand EA Sports has an official FIFA gaming app. Compare app functionalities to the access they request. Some apps need access to certain data on your device, a map app needs access to your location so it can give you directions. App access requests start becoming suspicious when for example your vuvuzela app wants access to your location. Unless your new vuvuzela app uses your location to determine what country you are in to then play your country’s national anthem, why does it need to know your location? Always be cautious when giving apps access and make sure the requests make sense depending on what the app does. You don’t want to carelessly hand over sensitive information that could later be used against you. Read user comments. You can’t always trust what people write online, but if multiple people really appreciate or dislike an app you can get a good idea of whether or not you should download it based on the feedback they give. Our mobile security app avast! Mobile Premium has an Ad Detector feature. Ad Detector finds out which apps are linked to ad networks and provides details of their tracking system, so you have a full overview of all the ad networks contained within your apps. You can download Avast Mobile Security for free, or for additional features, like Ad Detector, you can download avast! Mobile Premium for $1.99 a month.